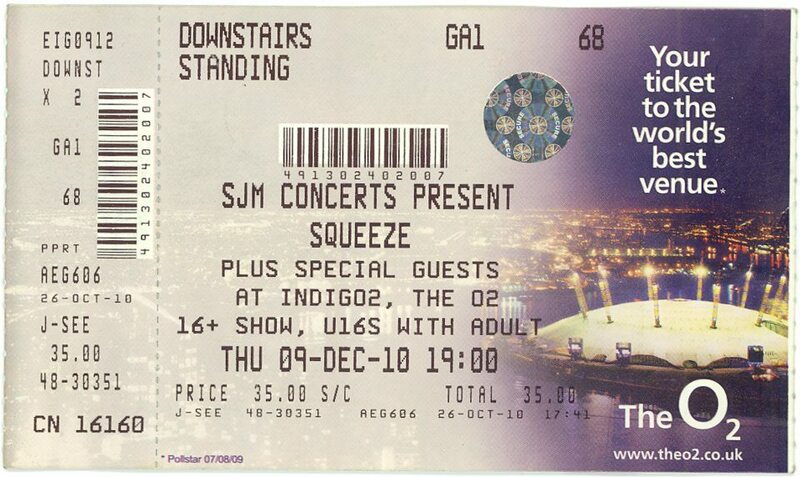 9 Responses to "Squeeze – 9 December 2010 – live at London Indigo2"
The IndigO2 is a purpose built venue – ideal for live music in every way – so it was a real treat to see Squeeze play there. Despite Steve being a no-show for the soundcheck, the show went off without a hitch and the band were on blistering form. They’re getting better and better and the final two shows at Shepherds Bush Empire will be immense. Fantastic gig last night, I think it was a great setlist, I know they are entertainers and have to please the audience, but by the same token if Chris and Glenn are proud of their work, even if it wasn’t commercialy sucessfull then, why not play a few lesser known numbers, I thought the balance was superb, sound was great also. Steve wasn’t at the after show either, so I hope he is feeling ok.
That’s exactly what I thought when I first saw the setlist, I think if people went only expecting the ‘greatest hits’ so to speak, then they would have been confused! I personally loved the fact that they have shaken things up a bit by playing more obscure tracks, and it may entice semi-fans to listen to them more! 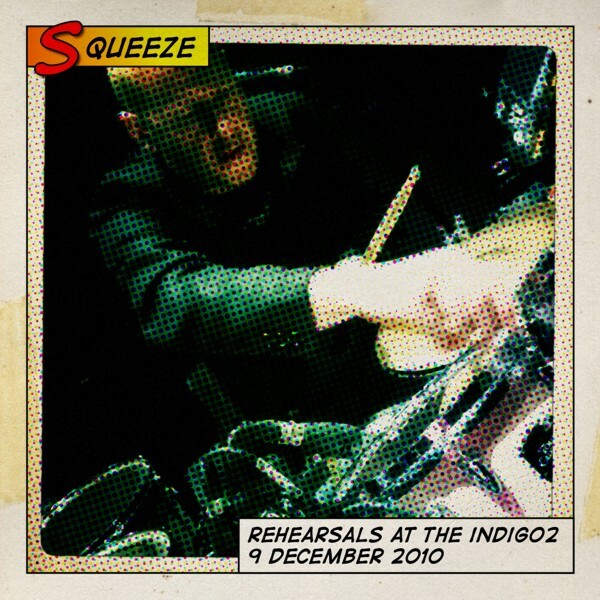 I thought ‘When the hangover strikes’ was a very unusual choice, simply as it is quite slow and quiet for a concert, there is always the danger the audience will become disengaged, but Squeeze are so amazing, that didn’t seem to happen at the concerts I attended. I do have to say that most people who attended, from what I could see, didn’t sing along to many of the more obscure songs, but I’m glad to say I sang/danced to every one! Absolutely loved every second. Didn’t want it to end and thought the mix of well loved favourites with a few lesser known songs, but still loved, was great. One question though….. Before the gig started they played a mix of Squeeze songs by other artists I think. I really enjoyed them and wondered who they were by and if they are available for download? Anyone know? I believe the band they were playing before the gig started were called “The Roots” not sure if its available for download or purchase tho. The soulful cover versions of Squeeze songs are by Questlove of The Roots. He’s a percussionist and an enormous Squeeze fan – including loving all the b-sides and obscurities. He met Glenn on the US tour and gave him a copy and Glenn was blown away by it. It’s being released on CD next year. I agree with Hannahx 100%, lets face it ” Some fantastic place ” has to be in just about everyones top 10 of Squeeze songs, but because of the sentiment and pure class of Mr Diffords lyrics on that one, I think everyone would be too emotional and tearfull to enjoy the rest of the concert. I thought “when the hangover strikes” was a great bluesy choice and “loving you tonight” is again just pure class. Squeeze showed their musical versatility and humour wonderfully at the Indigo2 and just confirmed why we love them so much. The dance routine was something else, altogether. Glenn is just spectacular on the guitar, Chris looked so slim and healthy and was back to his Wilko Johnson best around the stage ( he will have to take “Fat as a fiddle” out of his solo act.). Mr Bentley, Mr Hanson and Mr Nieve were superb also. I couldn’t fault the night at all. If tickets were available I would go to every London gig. I hope the guys enjoy their much deserved Christmas break and look forward to seeing them as Squeeze or individually around the UK in 2011.